Very professional and courteous service. Clean. Organized. My Crosstrek picked up a screw yesterday and went flat over night. Miranda was awesome and got me worked in this morning to get it fixed. I know you all were busy today, but thank you so much for getting me fixed! Always Friendly always helpful. So glad I bought my car from them. Amazing sales people, love the new car! Since First Team opened our doors on October 3rd, 1988, we’ve been fortunate to become one of the most successful automotive dealership groups in the state of Virginia. From our humble beginnings as a Hyundai dealership (when most Americans didn’t even know what a Hyundai was) to our new Hyundai, Nissan, Volkswagen, Subaru and Prestige Collection dealerships today, we are proud to be the dealer with good people and great values for the last quarter of a century. For over a quarter of a century, First Team has been an innovator in the automotive industry. We developed “Clean Deal Buying” many years ago, and have evolved it into our exclusive Clean Deal Buying Experience, where you get one price, right up front, set by the market, with no hassles, no hidden fees, and no worries on every new vehicle we sell. Our commitment to our customers continues well beyond the date of purchase. We also have a professional team of technicians on hand with the skills and equipment to handle all manner of maintenance and repairs, as well as a full stock of authentic parts. 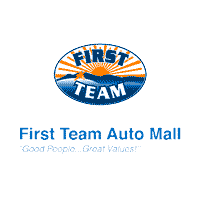 Make your way to First Team Auto Mall in Roanoke today for quality vehicles, a friendly team, and professional service at every step of the way. If you have any questions for us, you can always get in touch with us here!